2018 seed packet & catalog cover!! 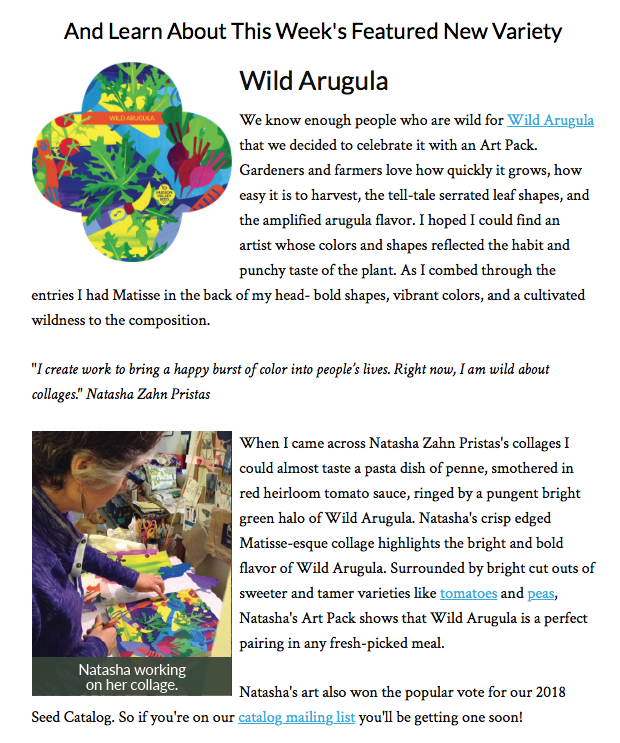 Thank you to everyone who voted for my design and to Hudson Valley Seed Company for such a fun opportunity. 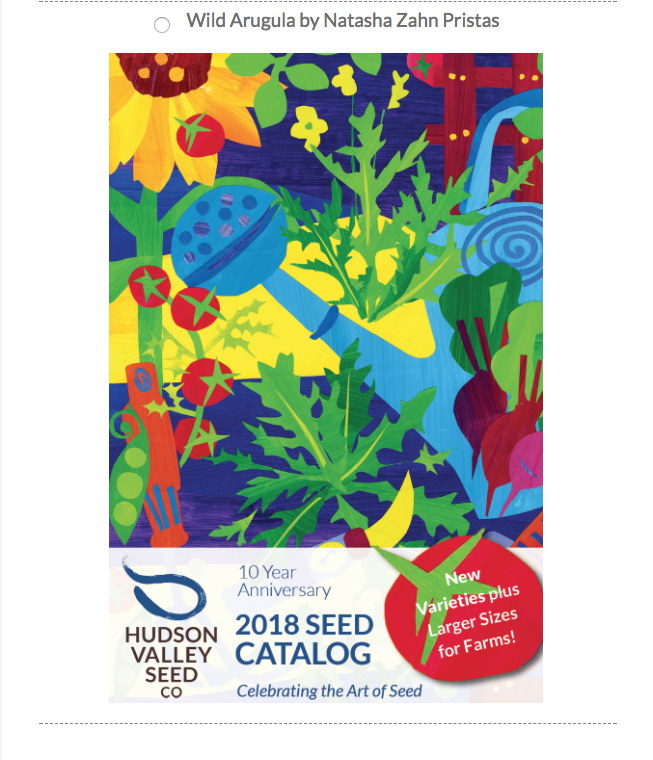 I'm super excited to share that my art was not only selected to be on a seed packet for Hudson Valley Seed Company, but now that design is in the running for the catalog cover! Whatever the result, I'm thrilled my work made it through several rounds to get this far. 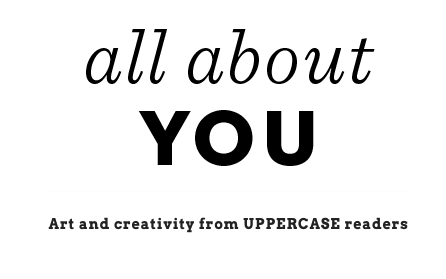 Thank you for shopping locally & supporting artists! Kodiak Baptist Mission's Christmas Market. ​10 am - 4 pm, Saturday, December 2. Can't make it to the Mission's Christmas Market? Find most of my goodies on Etsy. Annie Kaill's in Juneau on October 6. I am thrilled to be in a show with these fabulous artists and friends from The Flats in Juneau. It'll be nice to be back in the old neighborhood! 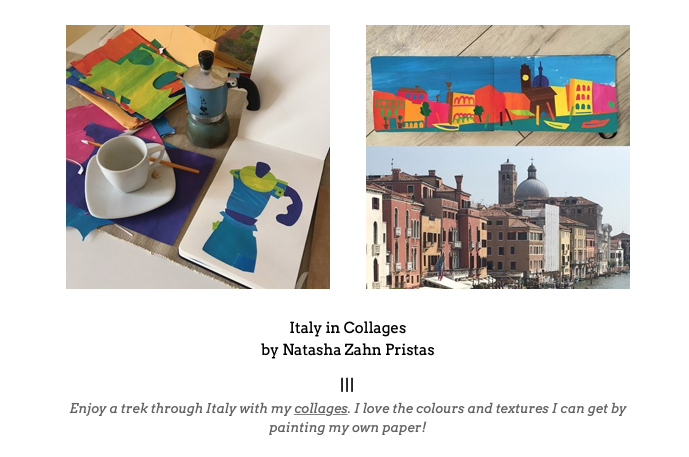 I'm bringing collages and pen and watercolors. The show opens with a reception at 4:30 on Friday, October 6. Hope to see you there! Baranov Museum purchases my art! I am honored & excited that the Baranov Museum purchased a series of my work with support from Museums Alaska and the Rasmuson Foundation. 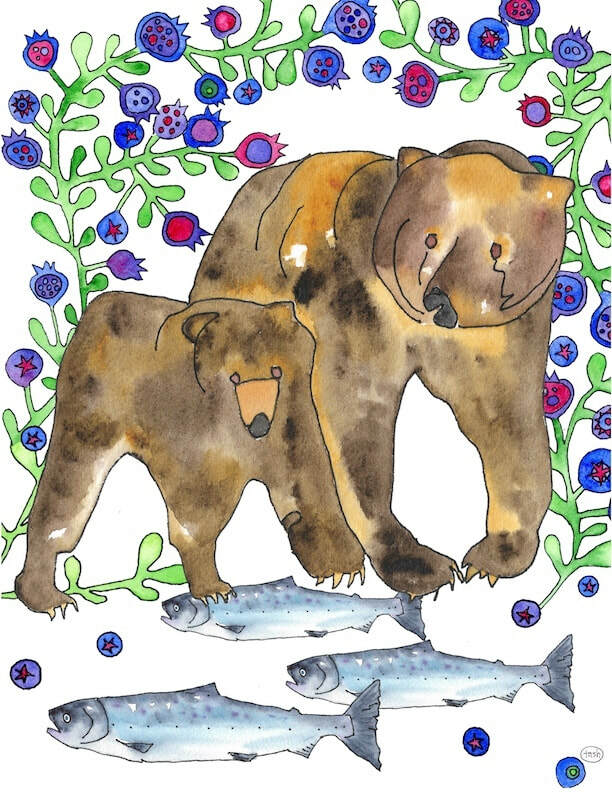 My work is described as "a playful interpretation of our Kodiak lifestyle" and depicts berries, flowers and fish in pen and watercolor. Save the date & come visit during First Friday at the Baranov this Friday, September 1, from 5 -7 pm. 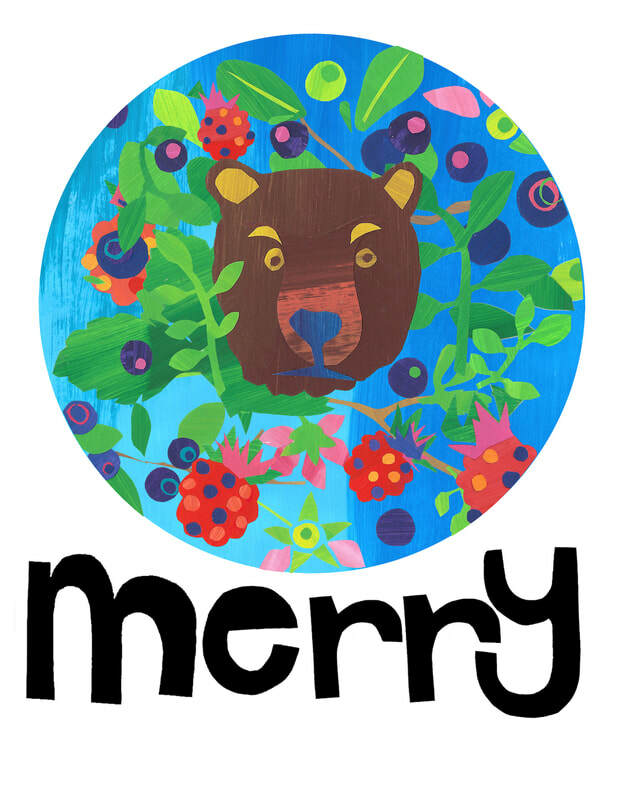 Even if there are no berries this year, art will sustain us until next season! 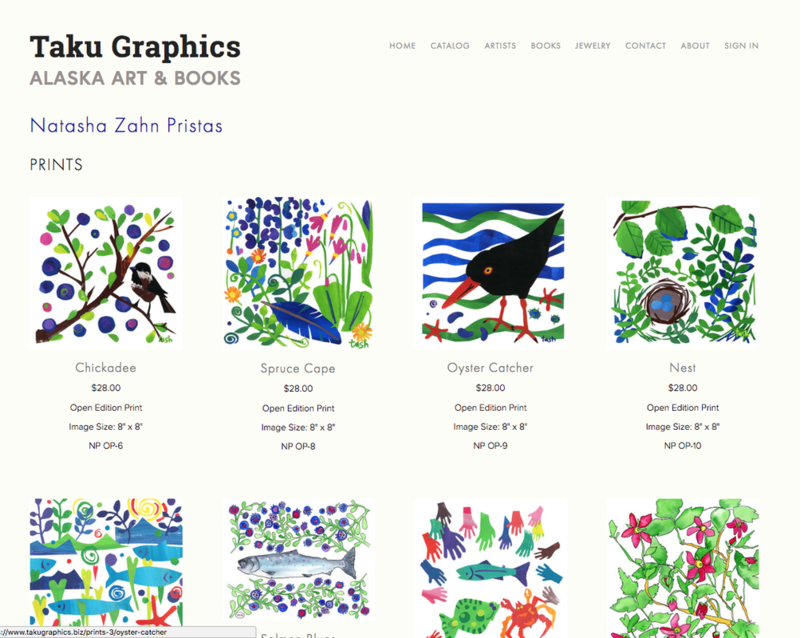 Small prints and cards available for purchase.